Tai Chi is a form of exercise that emphases slow, natural movement as well as developing a better awareness of your body and environment. Although it originated from the Chinese Martial Arts, most people practice for its health benefits and its ability to reduce stress in our day-to-day life. 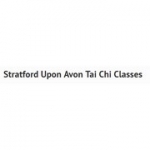 Our Stratford upon Avon Tai Chi classes focus on improving your health, mobility and flexibility. We hold regular sessions of treating common health complaints and ways to manage stress. They are also a great way to make new friends! We openly teach the Chi Kung or energy work that is key to making Tai Chi work. This is often left out in many classes or reserved for inner door students. We have a 6 month syllabus for new students to help them learn the key elements of Tai Chi and quickly provide you with a set of tools to maintain and improve their health. We hold regular classes for both beginners and more advanced students. Our classes are held at the Stratford Upon Avon School, Alcester Road, Stratford Upon Avon, CV37 9DH. We hold a new beginners Tai Chi class regularly to help give you a taster for our style.. Please ring 07902037543 for more details. Terms: Call for more information including prices and availability of our Tai Chi classes in Straford Upon Avon.